Minnesota Asian Pacific American Bar Association - Baking Cookies with Cookie Cart! Baking Cookies with Cookie Cart! 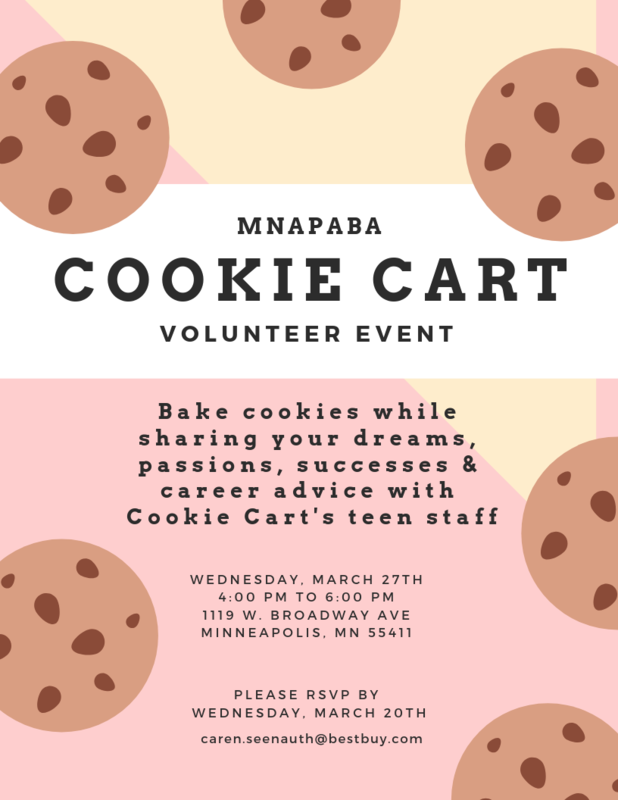 MNAPABA can help model professional behavior to Cookie Cart's youth employees while also helping them practice their interpersonal skills. Volunteers will be in Cookie Cart's bakery for a 2-hour shift where they work alongside teens making cookies. This creates a natural opportunity for informal networking, career exploration, and team building. Volunteers may also work with Cookie Cart's teens to practice mock interviews, informational interviews, or customer service scenarios. There is a limit of 20 volunteers in the bakery, so register fast!